Rapidly growing numbers of mentally ill homeless present a significant challenge for care- givers everywhere. 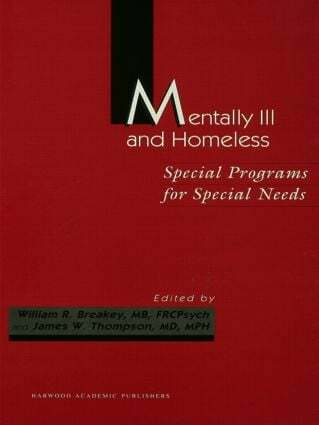 A practical guide to assist individuals starting programs to address the needs of this population, Mentally Ill and Homeless presents six research demonstration projects arising from the Federal McKinney Homelessness Act. Internationally recognized contributors from across the mental health disciplines assemble to present solutions. Discussed are the problems encountered by research teams, impressions of the overall success and/or failure of the projects, preliminary quantitative findings, and the implications for the future of such programs.